For guitar players, open, power and barre chords are the go-tos for writing and playing songs. Although power chords are most associated with punk music, they are used in all forms of music. From pop to country, rock to metal, reggae to jazz (especially if you play the 3rd and 7th in a major 7th chord), even occasionally in classical music (although traditionally – and to the rules of counterpoint – no parallel 5ths are allowed). What gives power chords it’s distinct sound? Well, we’ll have to get into a bit of theory here to explain it. * We’ll be using the notes on the staff in addition to tablature in this blog. 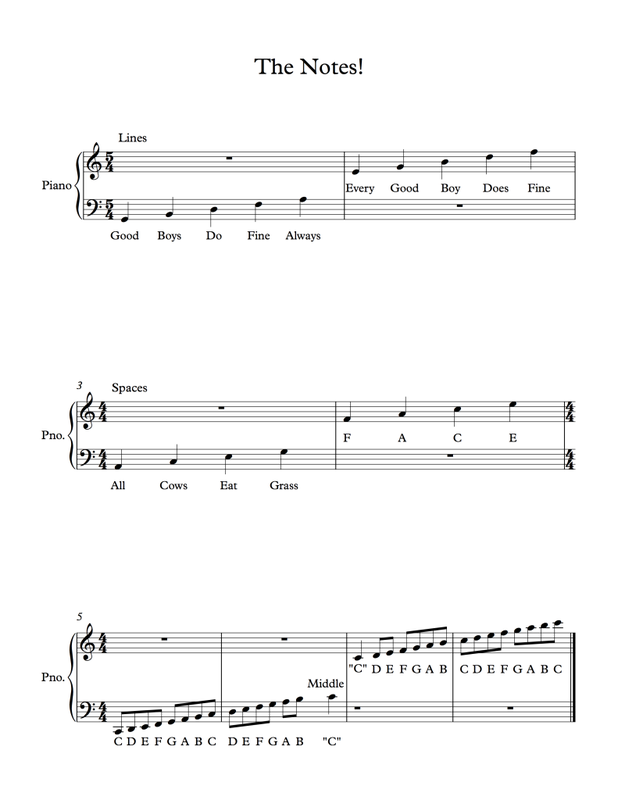 You can use the “cheat sheet” at the bottom of the page to help with the standard notation. 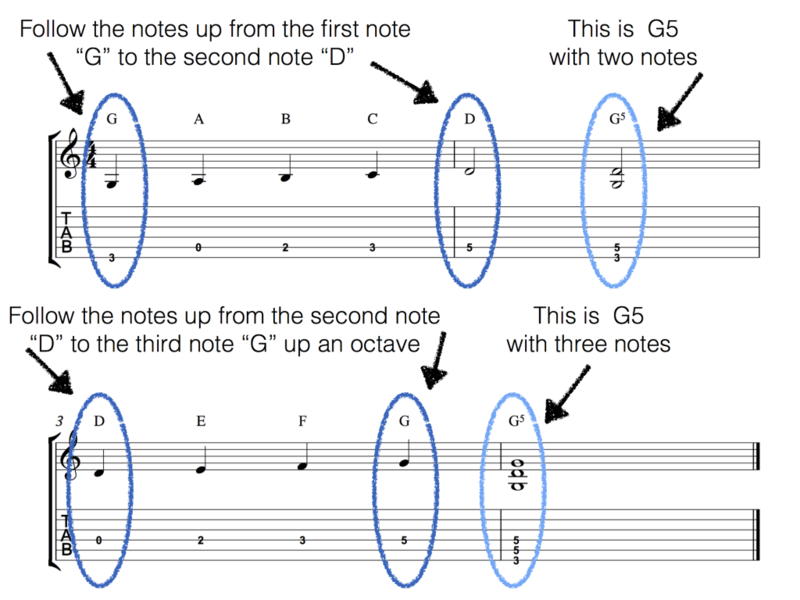 Let’s take the note “G” played with your index finger on the 3rd fret of the “E” string. Now let’s make it into a power chord by adding our ring finger on the 5th fret of the “A” string and our pinky finger on the 5th fret of the “D” string. Following the notes up the staff we can see that the first note of the power chord is G and the second note of the chord is D. That’s called the Root and the 5th. We can stop there and use just these two notes as our power chord or continue and add in the third note which is the Root “G” up an octave. Because power chords don’t have a 3rd, which is the note that makes chords major or minor, we can use a power chord in place of any chord. Pretty cool right?!! Here’s an exercise to practice power chords with the root on the “E” and “A” strings. One example is going up and the other is going down. Take note of the name of each power chord as you go up chromatically.